I've long stopped wondering about what people google to find this blog, but the past month has caught me chuckling to myself a few times due to the name I happened to choose for this blog and my current field of work. 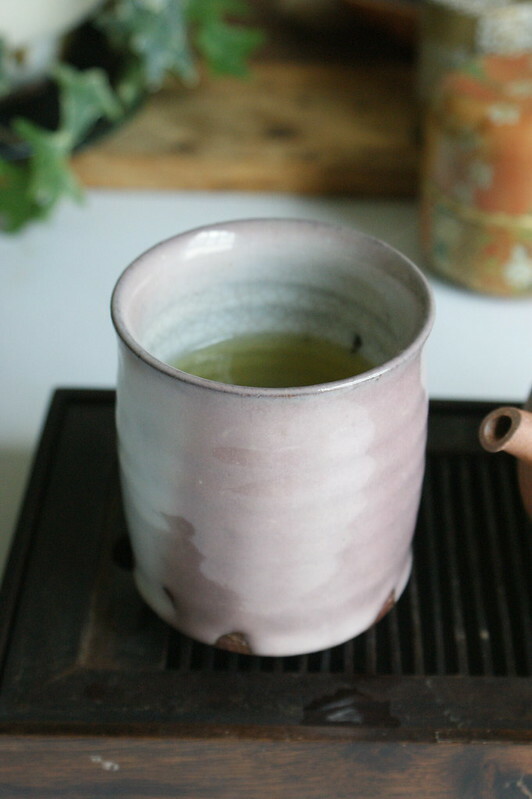 I'm not sure I've ever explained the reason for the name of this blog, but as it initially was intended to be a tea review blog, I thought well its going to be a blog giving people tips on what tea's they should sip. Hence "The Sip Tip." Well within a few years of me creating this blog, several technologies started to emerge to the forefront in Telephony, especially those involving SIP servers using SIP (Session Initiation Protocol) and its interactions with TCP/IP (Transmission Control Protocol/ Internet Protocol). There was for at least a year in there maybe two or three, any search for something similar to 'sip tip' would produce this blog, and every single other link would involve telephony software's, technologies, and protocols. I jokingly said to myself I'll have to learn what that is some day to actually figure out what it is. Flash forward several years, and due to a change of projects with my current employer, I am now immersed in a land of telephony, including dealing with SIP servers, protocols, and communications between massive numbers of servers along internal networks. So many years after creating a blog called "The Sip Tip" I am oddly employed in an industry that was possibly the number one cause of accidental clicks on my blog for several years. In the mean while I will keep on sipping tea, and really try and focus on producing more content, and especially more photographs for this blog! I apologize it has been a crazy 2014 so far, and I am not sure it is going to get any more sane, as my Marathon training starts to really ramp up, into a fall full of races. Sorry for the horrible word play in the title. However I've been thinking a lot about where tea ranks on my list of priorities lately, and I am not exactly sure. I view it as an incredibly relaxing and enjoyable diversion, and still enjoy it immensely. However I've struggled to find the time for it lately, and that is what worries me. There seems to be an endless battle between working out/ running, drinking tea, and sleep, sadly all three can not happen in the same evening due to tea's effect on my ability to sleep. Combine this with the fact that for some reason, and I am not 100% sure why, I have only had one somewhat lazy weekend in the past 3 months, which prior to that in this past year was when I could really sit down and focus on tea. 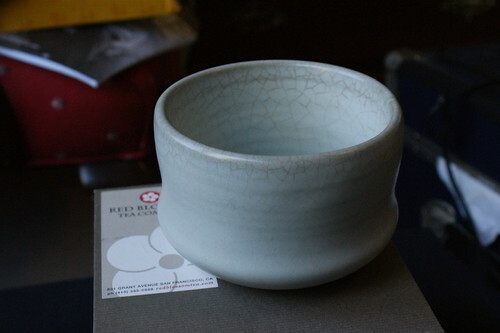 However I do still hope to learn about tea, and share tea with others. In fact within the past month I have had a group of running friends over for some tea, and opened their eyes to what it can really be. (For those interested in the line up, we started with Matcha, Sencha, Balhyocha, followed by a 1967 Baozhong.) That afternoon was quite possibly the most enjoyable tea moment I have had for many years, as it feels good to try and share your passions with others, and I highly encourage any of my readers who have not done so to try and gather a group of friends that don't quite know about tea the way you do and have them over for tea. I'll keep trying to sip on some tea while I look at my priority list and see if I can bump the lovely leaf up a step or two somewhere in there. 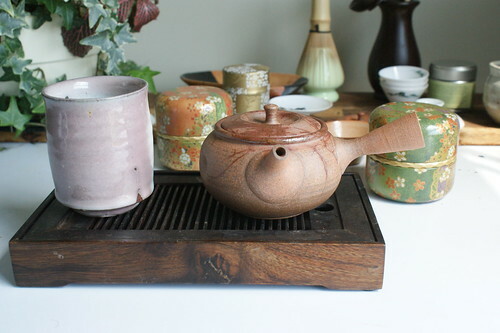 Through over 5 years on my blog, many things have changed personally, some at least in part inspired by tea. 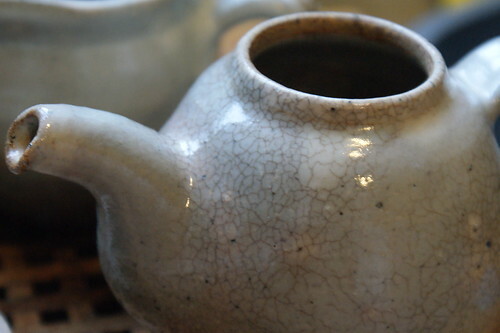 As tea drinkers we get a lot of questions on what tea is to us, or why we drink tea. Honestly though through those 5 years and actually back further I realize tea has pretty much been a constant in my life. Why does this simple set of leaves thrown into hot water help people relax, wake up, recover, etc...? Tea was there for me after my first traffic accident. Tea was used to celebrate numerous happy occasions in my or my friends lives. Tea has broken down barriers with friends. It has also granted me comfort and time to meditate when I thought there was no such thing as free time. There seems to be something about these tea leaves that has caused tea to be enjoyed so much throughout history. This effect of being a near panacea for everything live can throw at us certainly has been known for quite a while in east Asian religions. Tea and Zen have been said to be one and the same, especially as their fate/history in certain counties are incredibly intertwined. The most amazing thing though is how unassuming tea can actually be. It will be exactly what you want or need it to be, even if that item is some dry withered leaves tossed in water with no celebration or fanfare. Tea however I have learned does demand at least two things, and they are incredibly important. Tea must be enjoyed, and tea must be shared. All else is up to us.